Strangely enough, I drew this dragon craft last year, and never got around to putting it up. Since Chinese New Year is right around the corner, I dug it up, polished it off, and happily, here it is! The dragon is an important symbol in China of power and good fortune. A dragon dance is done with puppets both large and small during new year festivities to scare away bad spirits. 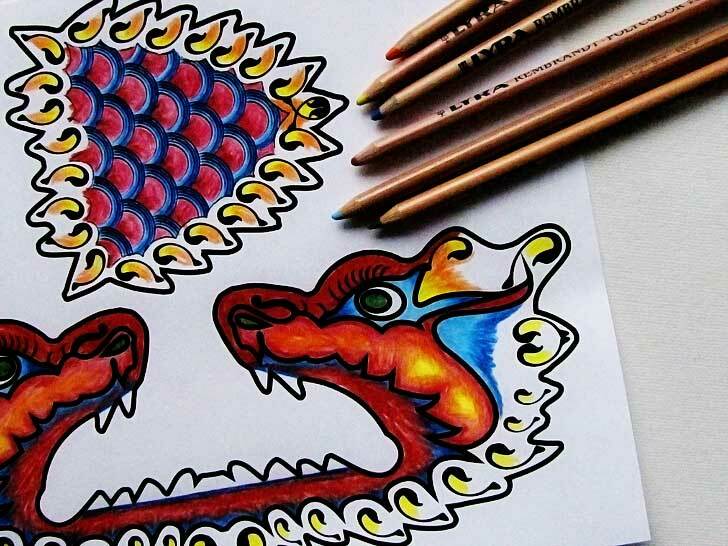 Use this template to make your own dragon puppet to celebrate Chinese New Year! 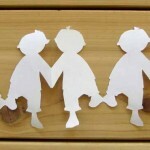 This craft is so easy that a toddler can do it – they aren’t going to color with fancy-schmancy colored pencils or stay within the lines of course… But they can certainly handle it, though will probably need some assistance cutting out the two puppet pieces. 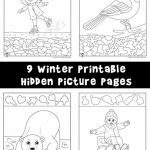 This craft is most appropriate for ages 4-8. 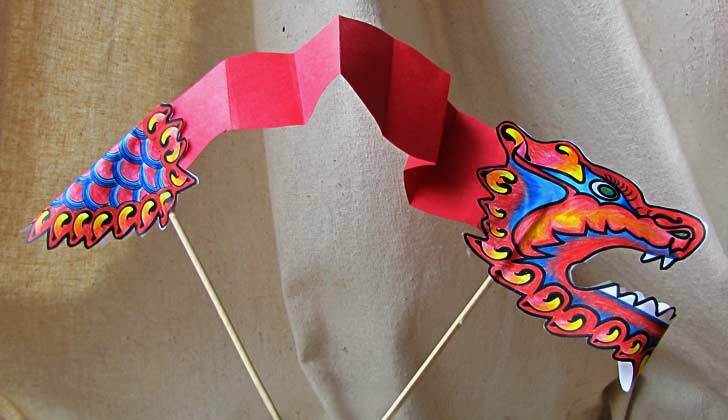 You will need an additional piece of construction paper to create the accordion folded dragon body, plus wooden kebab skewers to make it into a ‘puppet’, like shown above. Then simply click the above image to print out the dragon, color, cut it out and fold and glue as shown! 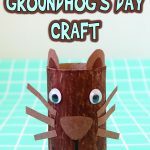 The head and tail get folded in half and glued with the construction paper “accordion” sandwiched in between along with the skewers. I recommend using plenty of glue for this project, and don’t use cold glue sticks (hot glue is OK with supervision of course). Old fashioned white school glue is probably best and easiest for all ages. 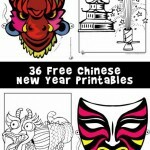 Want more Chinese New Year printables? We have THIRTY SIX of them right here! 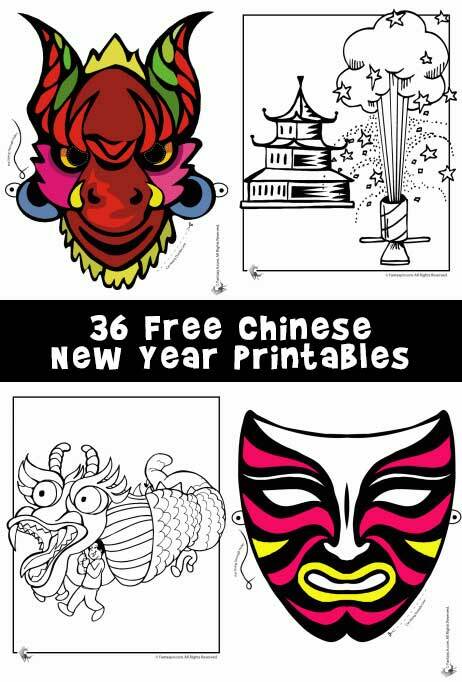 There are dragon masks, Chinese art facial masks, and tons of coloring pages, including a full set of 12 for the Chinese zodiac. Hello! We just made your craft yesterday- thanks for the idea! :) Can I link to your site? 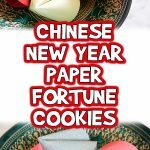 I just wrote an article about Chinese Dragons, and I thought my readers could jump over here to see how to make some…. Thanks – making these tomorrow and will link back to you!